The best of being a mom. The best of being a teacher. Having my cake and eating it too. I don't know about you but I didn't get a warm vacation this year. In case you're reading this from a 2-season climate, I mean, that during my dead of winter, when I wake up and drive to school in darkness, peek out my blustery window to read the thermometer is quivering at -30 Celsius, and drive home in the same darkness, at no point, did I get to escape somewhere hot and sunny, sandy or salty. I know, woe is me. I am so hard done by. Not usually one to complain (too much!) I only write this to introduce my sanity-savers. Books. Specifically, historical fiction books. Cleverly written novels that swept me out of the dark doldrums of a Canadian winter into the opulent palaces of India, the rolling meadows of early 20th century England, the bustling streets of Mumbai and the cliffs and cloudy mountain tops of the Andes. And I might even be able to call them professional development! I should explain how I came to choose these titles. Quite by accident actually but isn't most of life's mistakes just "happy accidents"? And aren't mistakes the only real way we learn anything anyway? As I was searching through my public library's data base for additional titles for my split class of third/fourth graders, thinking some Peruvian folk tales on display might spark a little interest in their next Social Studies unit - literacy integration baby, it's all about integration! - I stumbled across some adult fiction as well. At first I discounted them, as I can get tunnel vision when I get an idea in my head and I was trying to sift through the 400-odd titles to decide which ones may appeal to my crew. And then it hit me. I should probably read up on these countries too. I knew I had a lot of learning to do having never taught these units before and one of my favorite ways to learn about new places is by whetting my appetite with a good historical fiction novel. 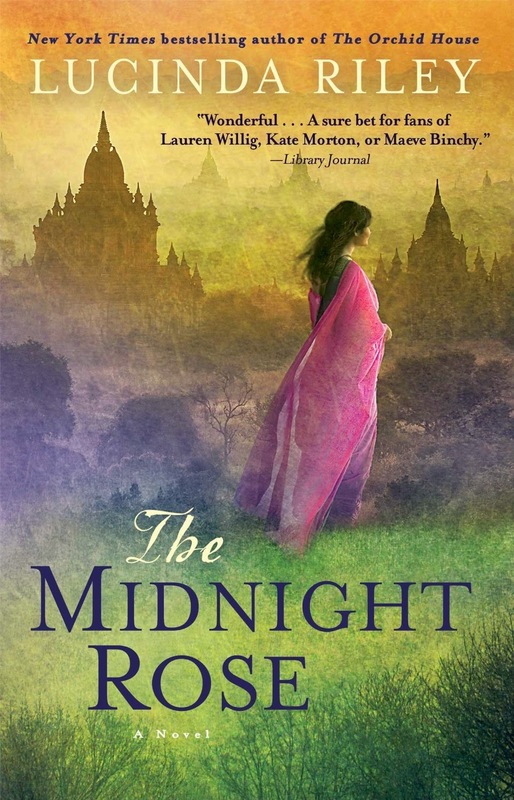 Sure enough Lucinda Riley's Midnight Rose took me back and forth through India, England, the 1920's and present day. I devoured it and although I'm no book reviewer (you can look up the description and other reviews at your leisure) I will say that it certainly set me back a few days. In a good way. You know what I mean, don't you? When you read until two in the morning every night for 3 or 4 days and still have to get up at 6 the next day, care for small children, go to school to care for larger children, come home and care for small children again and say hi to your husband every once in a while. THAT kind of reading doesn't leave time for much else so it's the good kind, but it sets me back. Shilpi Somaya Gowda's Secret Daughter took a little longer getting into but not because of poor writing - au contraire. I'm a young mom of a beautiful daughter and stories like this pull tight on the heart strings. 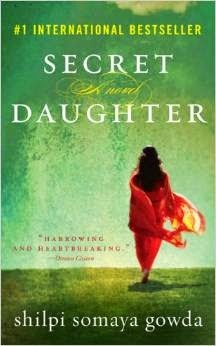 In short, it touches on India's cultural preference for boys and sees the struggle a poor Indian mother must face when she loses one daughter and gives another up for adoption. I know it's a fictional tale but I also know it's a reality for far too many. So, I had to brace myself for it, something I don't always love doing in my night time (relaxing) read before bed. All up though, a fantastic read spanning two families, one in India and one in the US and their struggles and victories. 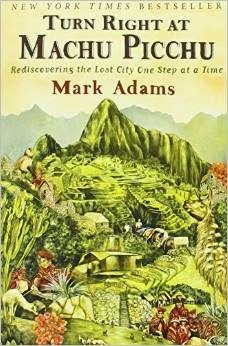 Lastly, as we've moved on to our unit on Peru, I've signed out a slightly different genre but have been just as pleased and happily relocated to the Inca trail by reading Turn Right at Machu Picchu by adventure travel expert Mark Adams. I have fully enjoyed his eloquent descriptions of Peru's breathtaking scenery with an equally eloquent sense of humor and hilarious self-deprecation. I am so happy I stumbled upon them and just the concept of reading along with my students a "good-fit (topic-specific) book" for me is something I fully intend on doing more of. In fact, I know I have to take this a step further and join them in marking them down my reading log, keeping a reading journal and sharing my thoughts, especially on books such as these. In fact I am greatly inspired by Angela Watson's "10 Authentic Ways to Hold Students Accountable for Home Reading" who encourages teacher's to model this process. Such a no-brainer but thank you so much for reminding me! I couldn't help but end with a link to a fantastic freebie (who doesn't love FREE?) courtesy of Kara at Happy Go Lucky. Aren't these free printable bookmarks just the greatest things to inspire some winter reading? No messing around with an Oops Sheet!